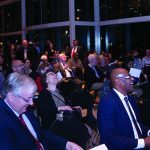 On Wednesday, November 16, 2016, nearly 200 people joined us for the anniversary celebration of the Great Cities Institute. We wish all of you a blessed and relaxing holiday season. At Great Cities the wheels will be churning as we prepare for a busy January and a full year of activities. 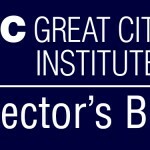 It was a busy week for Great Cities Institute. 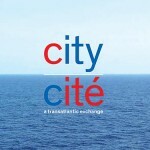 We want to thank all of you who were able to join us on November 3 for City Cité: A Transatlantic Exchange. Great Cities Institute is very excited to be welcoming intellectuals and activists from France in the Symposium, City Cité: A Transatlantic Exchange. The French visitors will participate in panels with both esteemed UIC professors and area activists. 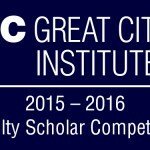 As we wrap up the 2014-2015 academic year, we at Great Cities Institute are busily preparing another round of events, research activities, urban design projects, and collaborations. The Global Health and Well Being Seed Grant program to foster new trans-disciplinary and mixed and multiple methods research in global health and well-being at UIC is now in its second year. This past weekend, Teresa Córdova had the honor of speaking and participating in a conference at Michigan State University on Neoliberalism and Higher Education. We are at a historical moment in the City of Chicago. 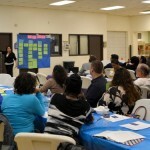 At Great Cities Institute, we have been concerned about many issues facing residents of the city and the region.